In this tutorial, we are validating a contact form and showing error message by using jQuery tooltip. 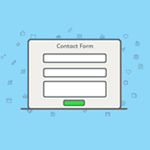 In a previous tutorial, we have seen an example of jQuery AJAX contact email with form validation. 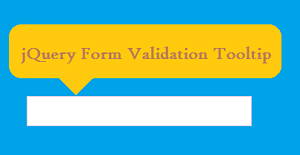 In this jQuery tooltip example, we are highlighting form fields to show validation results. And then we are calling tooltip function to show validation messages. This code includes contact form field required to be validated using jQuery. After validation, these fields are highlighted to show validation tooltip on mouseover. The following script is used to validate the required fields and email. To show the validation result we are applying styles and adding tooltip text messages via jQuery. This jQuery call shows tooltip messages on the mouseover event of the highlighted form fields.